Best Buy launches UK online store | What Hi-Fi? The BestBuy.co.uk website will launch tomorrow, 4th November, and will incorporate all the store's kit as well as buying advice. All products and services that are available in store will be found online at the same price, alongside new products sold exclusively online. Best Buy has also launched a price promise. Find a lower price and Best Buy will not only match it but also refund 10% of the difference between the Best Buy price and the lower price. While if a customer buys something from Best Buy and then sees the same item cheaper elsewhere – any time up to 30 days after – it will refund the difference. There's free delivery on all orders, too, while there's also a reserve and collect facility available in all Best Buy stores. 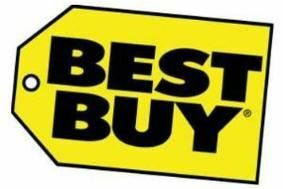 Best Buy has stores in Thurrock (Essex), Hedge End (Southampton), Merry Hill (West Midlands), Aintree (Liverpool), Croydon and Derby, and will open stores in Bristol, Nottingham, Enfield, Rotherham and Hayes in 2011.